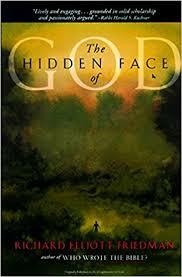 Richard Elliott Friedman’s The Hidden Face of God grapples with the reality that over time in the Biblical narrative the deity becomes less and less a direct presence. In Genesis, humankind has conversations with the divine, and arguably even wrestles with God himself. This is not what we see in later books. Or more precisely, we don’t see. The “hiding” away of a great truth or truths is not simply of relevance to God or the supernatural. Whigs believe that modernity converges toward truth. But Whigs may not get to define the truth of matters on this question. Let’s posit, hypothetically, that the notionally open Enlightenment republic of letters, which plumbs the depths of nature and society for Truth, is beyond its hide tide. That over the next decade or so intellectuals, seekers of the truth in a notional objective reality, slowly withdraw from visibility or at least begin to engage in explicit and self-conscious opacity. In public speaking on code or dog-whistles. But private intellectual communities will persist. The question is how will they persist? Face-to-face salons and meet-ups are one option. Then there are private e-lists and slack channels, as well as direct message communities on Twitter and Facebook groups (these have all emerged in the last few years as public discourse on social media has gotten nastier). The major problem I see here is that you trade-off scale for security. Consider what happened with JournoList. Any “exclusive” group will become infested with moles over time, and private conversations will be made public. People will anticipate this as a group becomes popular and become less candid. As a group scales, it loses its utility. In contrast, in-person meetings are generally totally free from these worries (unless someone is recording you). Unfortunately, these do not scale well. Adding and removing people from in-person meet-ups and semi-regular salons take a lot of work, and from what I’ve seen often that work is done by a few individuals who eventually get burned out. At which point the social group dissolves or breaks up into smaller more socially-focused units. If a group can not scale, its utility is constrained and limited. What we need are technological tools which will allow for surreptitious private candid freethought in a public world dominated by social credit and conformity due to authoritarianism. Demagogues may persecute those who speak uncomfortable truths for the sake of the body politic, but if these people are discreet they surely have a role in to play in the great game of mass manipulation that will probably become much more advanced as this century proceeds. Truth is a tool which even the princes of lies can use to win their battles. 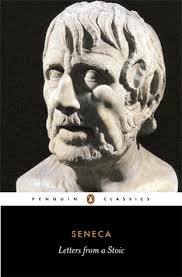 When Nero comes all will make peace with the new brutality no doubt. The reality is that many of our institutions are already quite corrupt. And yet it is also true that privately many people who lie in public exhibit virtue and common sense. They are constrained by the system, they do not create it. Of course, they are craven and one has to understand that they will make the denunciations necessary when the time comes for them to do so. But it’s all just business. This seems the human norm. Technology has to work with our nature, not against it. From what I am to understand Snapchat’s feature of messages which disappear was created so that teens could exchange nudes. The aim here was to share an intimacy, titillate, not create a permanent record. Similarly, any technological system to foster intellectual discussion has to take into account considerations of privacy, trust, and permanency. In a way, the peer-review system has some of these features, but it is rather slow and calcified at this point. * Christians reverse the disappearance of God through the incarnation, but that’s a different thing altogether.